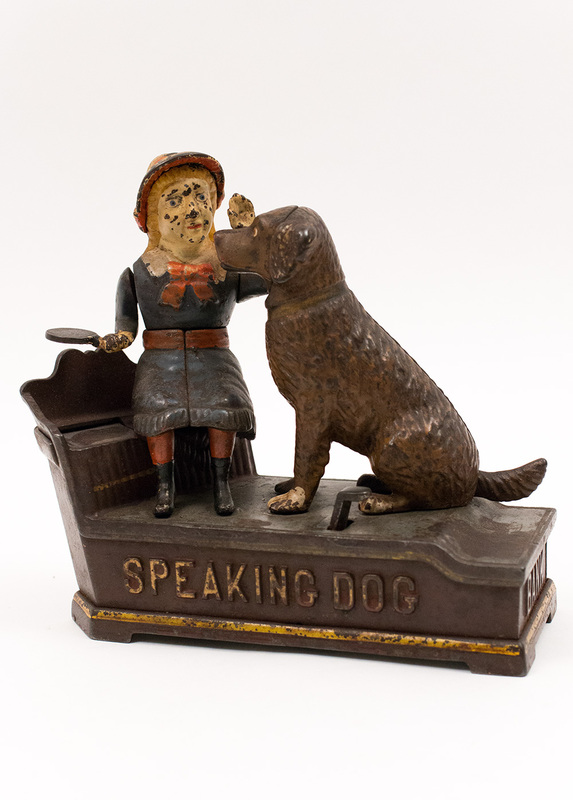 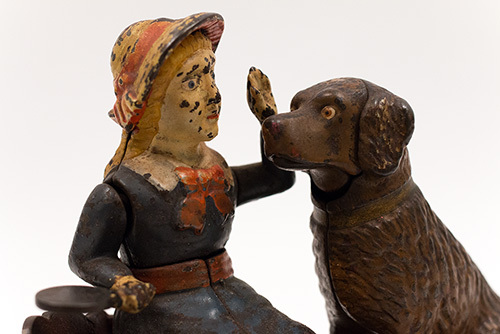 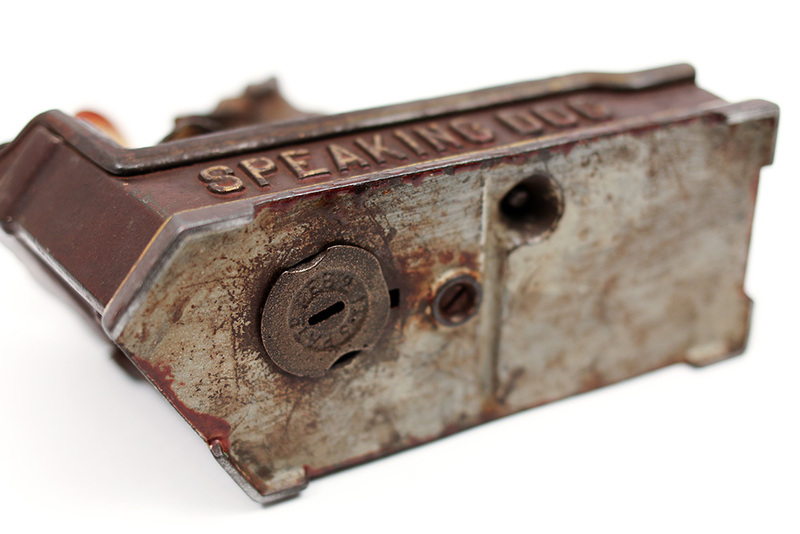 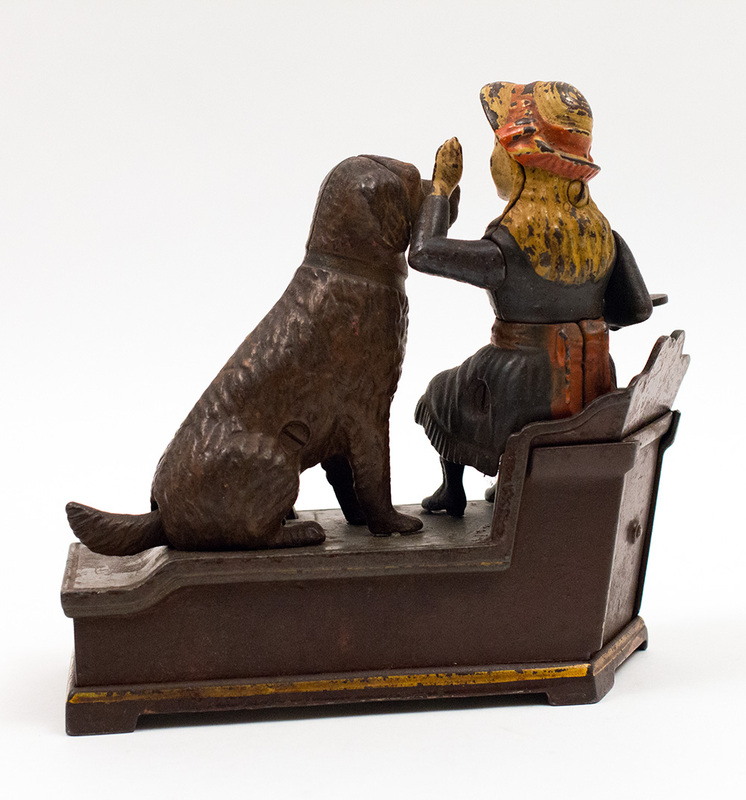 Circa 1890s: Shepard Hardware Company’s Speaking Dog mechanical bank was so popular that, when the J. 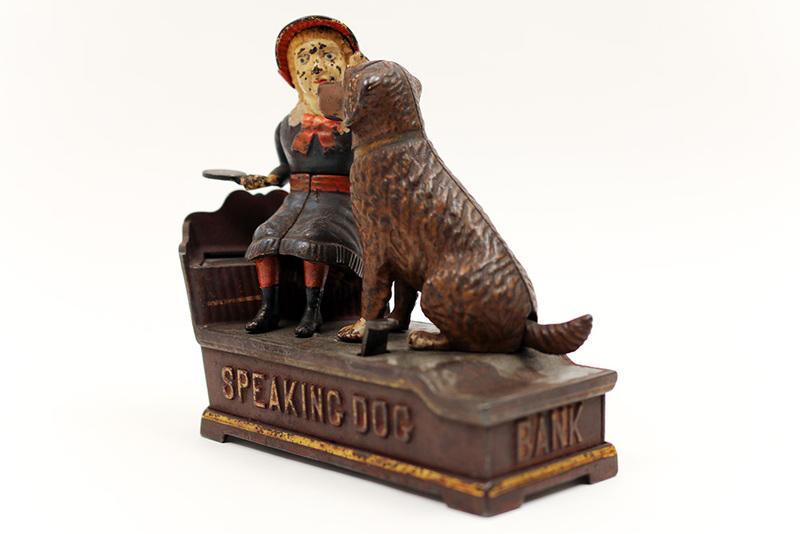 & E. Stevens Company of Cromwell, Connecticut, took over Shepard’s line of mechanical banks, they produced their own version of the bank. 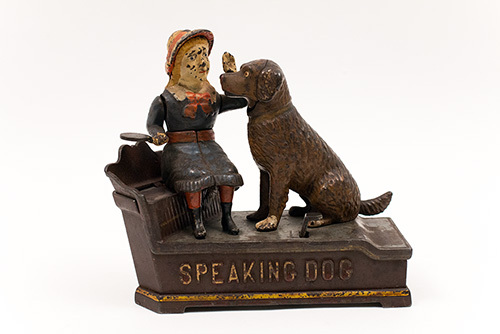 Additionally, English bank manufacturer John Harper & Co., Ltd. Introduced another version of the bank in 1902. This blue dress variation of the Speaking Dog is the most difficult to find and always has a round coin trap rather than a square one. 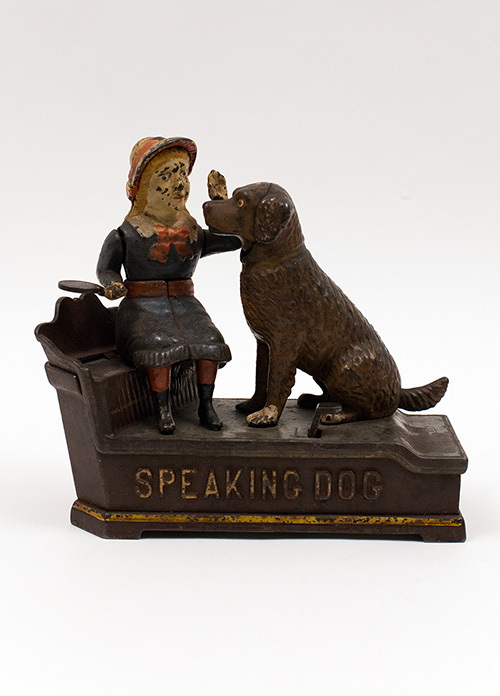 The Speaking Dog, like the Girl Skipping Rope, is one of a handful of mechanical banks marketed specifically for girls. 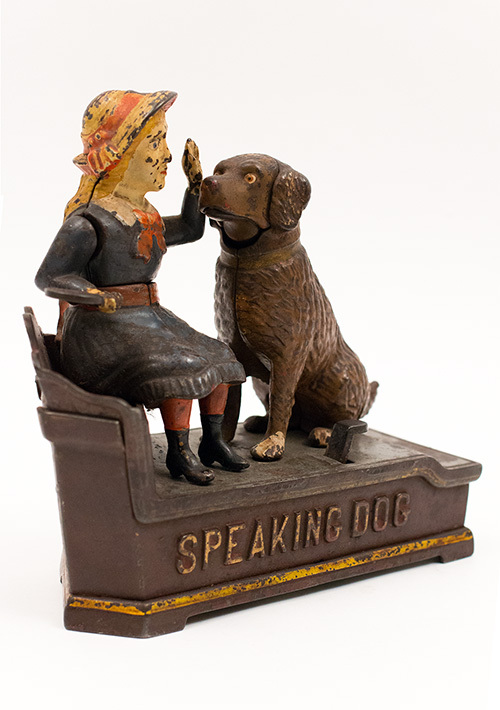 Note that this bank does not rely on stereotypical imagery but on the pure innocent beauty of a yellow-haired Caucasian girl petting her friendly and obedient dog as it wags its tail in approval. This bank has no chips, cracks, or repairs and has an above average untouched original painted surface. 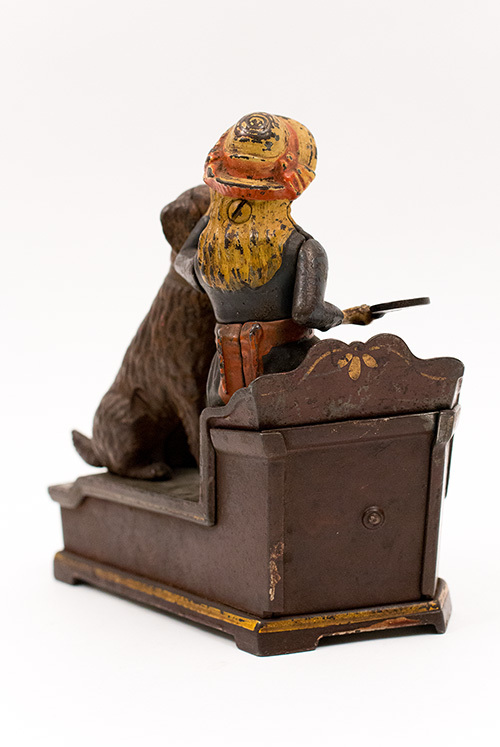 This is a nice, honest bank with great action and will be a fine addition to any collection of antique cast iron mechanical banks or 19th century Americana.